Yardsaling, flea markets, estate sales, antique and thrift stores, the locations are endless… As most of you know, I am NOT a shopper, despise being in town more than I need to be BUT I love looking for treasures! This is the perfect time of year to get out and find the things you need for your home or homestead. Last Friday, on Mountain Woman Radio I spoke about Yardsaling in Podcast #149. We live very frugally by choice and also by choice we have eliminated most of today’s modern day conveniences. Using antiques in our home is just part of the romance and often the items we are using are family heirlooms used by our grandparents or great grandparents. They are 50+ years old and are quality products that were durably made. They have stood the test of time and still decorate my home and are used often daily. We don’t live with worry in regard to our future, but we do take our future greatly into consideration with everything we do. 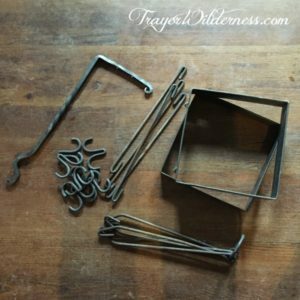 We envision life totally without power and strive to be sure that we have every tool we need on our homestead to survive and thrive if that were ever to happen. So that means that we need to have the antique counterpart to many of today’s modern day conveniences to be able to move forward. When we are out and about and see a yard sale, flea market, auction, thrift store or antique store and have a couple extra minutes we pop in and take a look. You never know what you will find and even better yet – have a list of the items you are looking for so you can even be more strategic! On my podcast last week I spoke about getting canning supplies at yard sales and this week while I was running errands I stopped at a thrift store to find big bins with canning jars and rings for $6.60 per dozen. I walked away with 14 wide mouth jars and rings. I could have gained a LOT more jars, but I was being a bit of a snob that day in that we can a LOT of meat and it is SO much easier to fill, empty and clean the wide mouth jars so I am working on only stocking up on the wide mouths that fit our needs the best. As I also mentioned in the podcast on Friday how I found an Excalibur dehydrator at a yard sale last year for $20 which actually retailed for over $300. These are the kind of treasures you can find when you take the time to look. 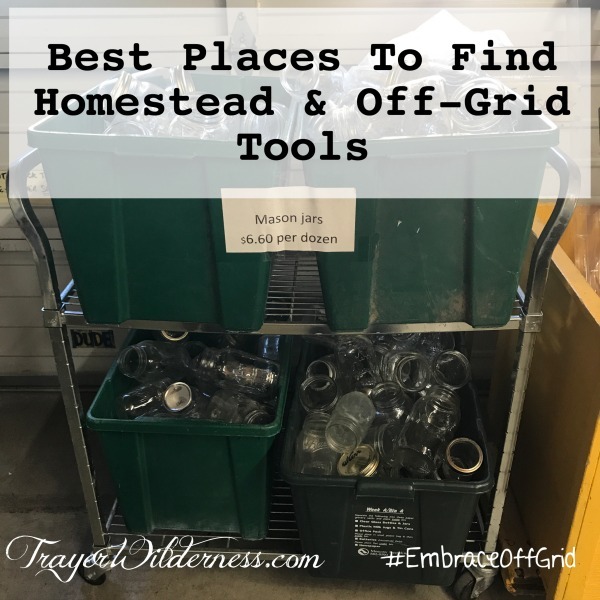 This is truly how I enjoy finding our homestead & off-grid tools! Some people feel that this kind of shopping is beneath them, but I regularly purchase clothes that still have the tags on them. It is an amazing feeling when you get yourself to a place that you don’t feel you have to purchase every great deal you see or you find that you are able to limit yourself to only the things you actually need and will use. I hate clutter and there are often things that catch my eye when I am out, but if it does not have a useful place in our home, I am to a place in my life that I will not waste the money on it just for pure pleasure. By living this way, it truly affords me to live this life! Additionally, it is very important to do your due diligence and research the items you are looking for and price them because you will find stores that have great prices and you will find others that have insane prices. Knowing your prices and knowing also what you are willing to pay for something is important or it could end up being highway robbery and you really didn’t save yourself any money. I often see things that make me want to jump up and down with excitement, but when the price tag is way out of my price range I have to walk away. This is my theory – if I walk away from something that is nicely priced because I just can’t afford it that day – if I return to the store when I can afford it and it is still there – it was clearly meant to be. With the items that are hideously priced – you might return to find the price has been brought down to something you can now afford. Another little trick – if the price is out of your price range, but not by much – you might try asking the store clerk or the person running the yard sale if they would be willing to take a lesser amount. I have even asked if they could take what I was able to afford and to my surprise – sometimes they will accept your offer to make the sale. I learned early in life to ask – the worst thing they will say is no, BUT they may also very well say YES! 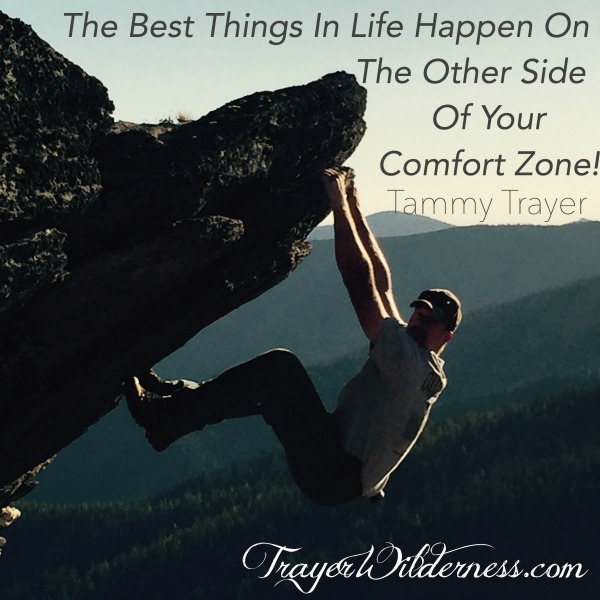 Take the chance – be bold – step out of your comfort zone…. Something else I have found in shopping this way, my son no longer thinks money is endless and that you just swipe that little plastic card…. He understands the value of money, budgeting, risk taking and only spending within his means. It is also good for our children to see us not purchase something we obviously love, but just can’t afford or don’t need. Being a good role model is truly in everything we do and say. These are perfect teaching moments. Shopping this way has been something that my son and I enjoy doing together – not just for the treasures we find, but for the priceless gift of time spent together. Have fun this summer and find yourself some quality treasures…. What is something you are looking for? Everyone today is running the rat race, filling every waking hour with busy. We embraced our off-grid lifestyle to create our own lifestyle in a crazy mixed up world. We were seeking a freedom and a pace that was to our liking, but when we first embraced our dream we hit the road running and kept pushing on. At some point, we realized that we were pushing so hard that we missed our mark. We were no longer enjoying our dream the way we intended and we found we were running the rat race just like the rest of the world. What?? We needed to step back and realize that there was more to our desires and our dream than killing ourselves with a crazy pace. We found our freedom, but we needed to make changes. We forgot to take time for ourselves, to have fun and to do things other than work as a family. Don’t get me wrong, we did enjoy our chores as a family and it was quality time while accomplishing things on our homestead, but as they say “All work and no play makes Jack a dull boy”! Well let me tell you, the same applies for Jill! We needed to find a balance in our lives and we also needed to put God first. Our Sunday’s were reserved for church and God, but we didn’t fully rest. We were still busy and found things to do. Our first adjustment was to make our Sunday a complete and total day of rest spent with God and as a family! Once we fully took that day of rest our lives changed. The next thing we did was incorporated PLAY back into our lives. We take time to do the fun things we enjoy. This was a bit hard for us because our work and play blended. We were still doing things we enjoyed, but when you take time and walk away from the fun chores and work and truly enjoy playing, you restore yourself. In doing so, you return to the home or homestead and have more to offer not just to your family, but your projects too. In addition to taking time for yourself and God, having a To Do list and a budget that you base your projects on will help remove the stresses of finances which can be huge. The To Do List helps to keep you focused and the budget helps to keep you out of debt and working on projects as the money is available. 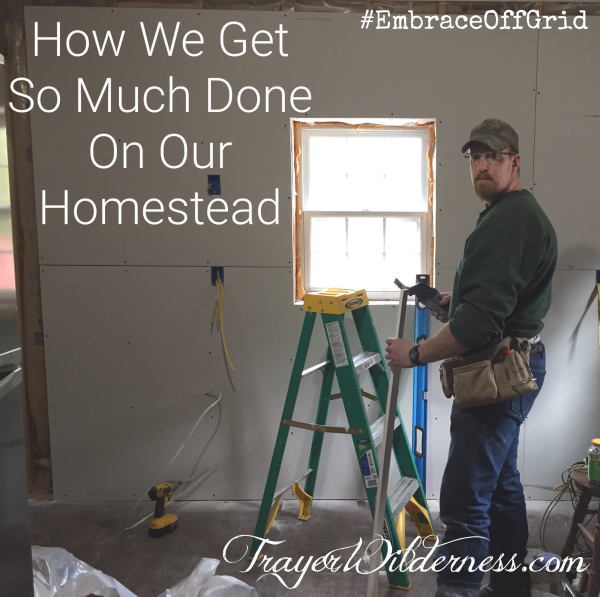 Accomplishing a lot on the homestead is great, but if it comes with a cost, that is not so great. Finding a balance can be hard, but only you and your family can find that balance and make changes. You will know your needs and desires better than anyone so focus on putting something together that works for your family. We find that with a set schedule things roll so much smoother as well. If you sit down and truly analyze your schedules and all the things you are doing to fill your week, I am sure you will find things that can be removed. This is my suggestion to you, evaluate what is most important to everyone and look at all the tasks you are trying to squeeze in. Remove the ones that really don’t have value to you. Free up some of your time and then focus on how you need to put the important things into your schedule. As I said, we focus very heavily on our Sunday as our day of rest and we have a night of devotions each week and a night of games all of which is spent as a family which pulls us all together and provides some amazing quality time and in depth conversations. Every family needs their together time. Because my days are spent in front of a screen the majority of the time and researching things, I thoroughly enjoy just a night on the couch crashed and watching a movie (doing something I don’t have to think about and can just sit and enjoy). We have found Amazon Prime and PureFlix to be our go-to resources for our movie nights. It kinda sounds almost backward when you read this, that in order to be productive you have to slow down but please trust me when I say this is SO important and SO true! Take those steps to put your home or homestead back on track because I have to imagine the majority of you are also running the rat race! Does this apply to you? What are some things you have done? 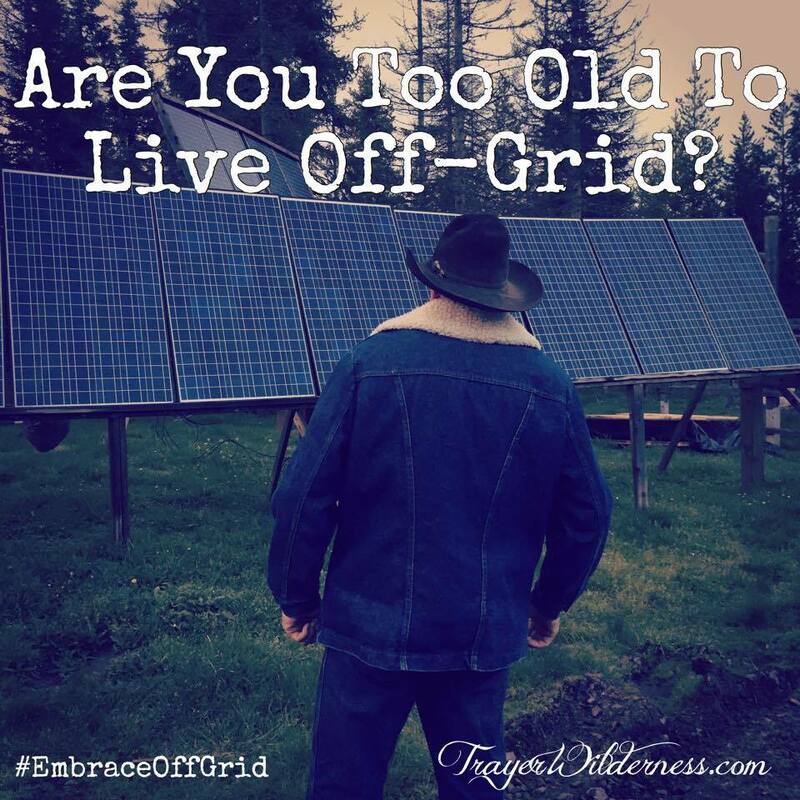 Are You Too Old To Live Off-Grid? Now some people may be offended by this question, but this is one of the most common questions we receive. Immediately, I am going to say, “By all means, ABSOLUTELY NOT! No one is ever too old to embrace a dream of any kind let alone a dream of living an off-grid lifestyle which can be enjoyed in many different ways as I break down in my book. Speaking of which, my book How To Embrace An Off-Grid Lifestyle: Our Journey & A Step By Step Look At The Lifestyle is available for $2.99 in e-book format until June 1st, 2017. You can find both the print book and e-book available on Amazon. Although the title would cause you to think that this is only for someone looking to live off-grid, it is very deceiving as this book is a wonderful tool for anyone that is interested in living a more self-reliant and self-sustaining lifestyle at any age. In Chapter 4 – Is Off-Grid Living Right For You, I break down varying scenarios of how you can enjoy off-grid living at different levels and how it is a perfect lifestyle for any age depending on how you embrace it. As I mention in the book, our decision to embrace a very traditional type lifestyle while living off-grid in a more remote location was fully a choice and one we have dreamt about all our lives. It is not necessary for someone wishing to live an off-grid lifestyle to live as traditionally as we do. Living off the grid means that you have a desire to power your home with something other than grid power such as solar, hydro, wind, generator or biomass power. It doesn’t mean that you need to live traditionally, work extra hard, go without your creature comforts or are dirty and poor, it truly just means that you are powering your home with alternative energy. When living off-grid you will want to consider your power usage or consumption which is heavily covered in Chapter 5 of my book. Based on your age or your health, your location could matter. 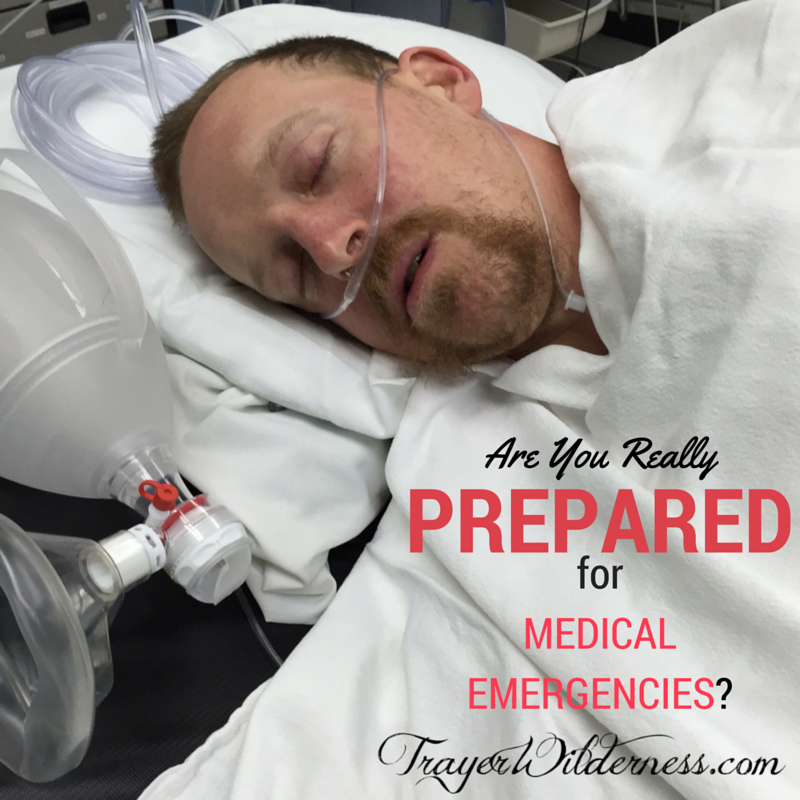 If you have health issues and should really be closer to doctors or a hospital that is something to consider. If you are over 50 and are purchasing a piece of property that you wish to retire to or wish to live your remaining days on, it would be wise to consider future health needs and have things in place such as a Life Flight membership or something similar if you intend to live more remotely. In my book, I cover the soup to nuts of self-reliant living, not just off-grid living and it gives you many things to think about and consider in embracing such lifestyles. It is really important to think about all aspects of the life and how it will affect your well-being and the amount of effort that is required. That is why I felt it was very necessary to debunk a lot of the off-grid and self-reliant myths and cover each area of the life completely! So, to sum it up your certainly NOT too old to embrace an off-grid or self-reliant lifestyle by any means, but you will want to consider how you intend to live the life and where you choose to do so. Are you considering such a lifestyle? What questions do you have? The Mountain Man is always fabricating, creating and manufacturing useful items for our homestead. Sometimes it is necessary for us to manufacture things to fit our needs, to improve the modern day counterparts and to allow us to do unique and creative things here. Many of these tools will benefit you as well so once we create these items we add them to our site so they benefit you as well. 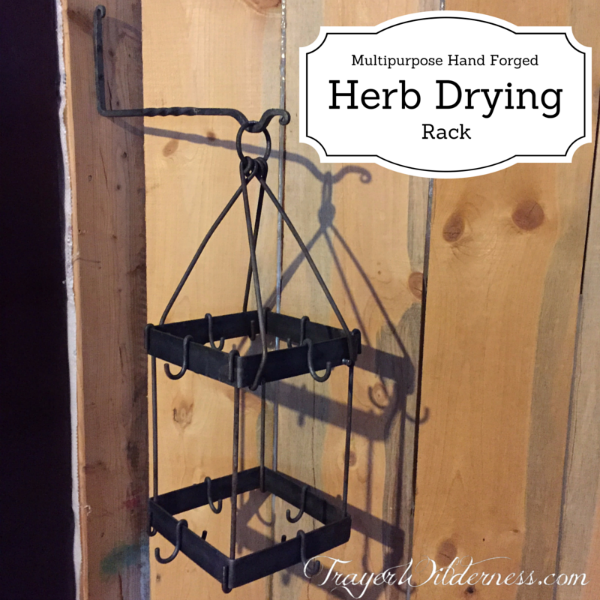 Our Multipurpose Hand Forged Herb Drying Rack is not only perfect for those of us that are drying our home grown herbs, flowers and medicinal plants as well as all those wonderful things in nature that we forage. In addition to its drying abilities this whole hand crafted unit comes apart for easy storage and cheaper shipping. You can put this together and only utilize the top rack for drying extremely long things. This hand forged rack could be used to hang kitchen utensils, jewelry, scarves, hats, lanterns and honestly the sky is the limit based on your creativity, but I personally can envision SO many uses for this. If you would only want to use this rack for drying and would put it away at the end of the season, you will be able to utilize our lantern hook that comes with it for an indoor plant, lantern or what have you. I think this is such a useful hand forged piece and I am excited to present this to you. We are accepting pre-sales on this item right now at a discounted rate and upon our return from GA and my surgery, we will start packaging and shipping them on March 1st. We typically write and video things that are happening on the homestead to share and educate our audience. This is a bit of a different season for us. Although we still have projects and we are living life, we are also dealing with an unexpected setback and illness. This season has also brought lessons to which I feel are essential to share. 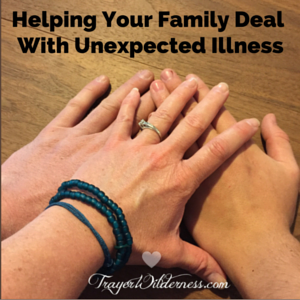 When a family is faced with adversity they pull together as a team and work through it, but when one is sick and suffering it bring new challenges. Everyone deals with their feelings, fears and struggles in different ways, but the key to these situations is extremely good communication. Honestly, good communication is an essential to everyday living, but it is something that many have to work at. Along with good communication comes understanding to which is a key to success in life, marriage and truly all aspects of living. Good communication is the doorway to understanding. It can help others to understand how you are feeling and why you may be acting the way that you are, it can keep people from stuffing their feelings or even denying them which in turn will cause other problems and it can also help to relieve stress and provide comfort. As many of you know, my son Austin is high functioning autistic and although he has overcome 97% of autism there are times when you can see autism shining through. During this chapter in our lives, I have seen Austin struggling. This is something he has never had to deal with, it is new. He is typically a very kind, helpful and good natured young man and during this time he has been displaying a lot of anger and lashing out. Knowing this is not normal behavior for him, I have tried to keep in close communication with him to help him through this time. Men are not typically talkers, they keep their deepest feelings to themselves, but I have made it a point to draw their feelings to the surface during this time so we can help each other through this process. In communicating with my son this morning, he shared that he is putting his total trust in God and pushing his feelings aside. Although it is a good thing to put his trust in God, it is not good to push his feelings aside. I shared with him that by pushing his feelings aside it was causing his feelings to surface in anger and mouthiness. Having these conversations helps our children to better understand their feelings and to understand that it is ok to express their feelings and to talk about them and even to cry. It is hard to watch a loved one in pain, not being able to do the things they normally do and to see sickness taking over. Communication, understanding, compassion and patience also play a role during these times. Our men process things differently than we do and they too will deal with worry and fear differently as well. They are fixers and hurt inside when they are unable to fix and repair. They often feel helpless so while these situations are present it is important to remember each others feelings and ways in which they processing things. Although I am unable to do the things I would normally do with my family, even going for a short walk has been hard so being creative has been helpful in still keep a window and time open to do something special with each of them. I spend time with the Mountain Boy, playing board, dice and card games, watching movies or YouTube and reading together. We also have a special time set aside to do devotions together which has become a very cherished time for us. I spend time snuggling with the Mountain Man and discussing our dreams, our plans for the year and watching varied YouTube videos.. We are always taking time to educate ourselves and continue learning and YouTube is a great resource for knowledge. There are several channels (you will be able to find them soon in our resource pages) that are very similar to our Trayer Wilderness channel to which we enjoy and can always glean information from. We never know what tomorrow will offer us, but God uses every circumstance in our lives to build us and mold us as he sees fit. I was recently asked. “If I could go back in time, what would I change?” The answer to that question was nothing! I have gone through some pretty rough spots in my life, but in looking back I can see how God used each of those times to build me, mold me and make me who I am today and I am thankful to be where I am and happy with who I have become. So as you may also be weathering a certain storm along with me, look for the blessings, keep communications open, pull closer to God and your family and allow God to use this time to mold you and bring you to the next stage in your life! There is always something beautiful on the other side of adversity!